Last month, the BSP had said that it was not in talks with the Congress for an alliance for the Madhya Pradesh Assembly polls. In a strong to message to the Congress leaders of Rajasthan, Madhya Pradesh and Chhattisgarh, which are set to go for polls this year end, Bahujan Samaj Party (BSP) chief Mayawati said her party “will contest elections as part of a coalition government only if it gets a respectable number of seats”. “BSP will contest elections as a part of coalition govt only if it gets respectable no. of seats,” Mayawati said in a meeting on Tuesday. 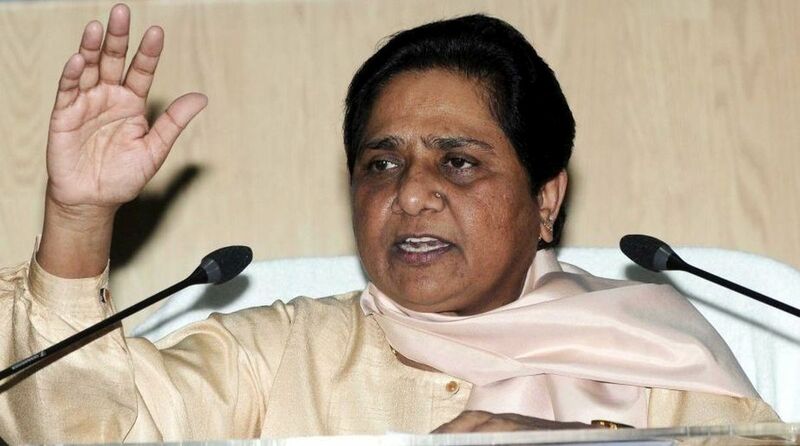 “BSP wants to tell Congress leaders giving reactions about an alliance with BSP in Rajasthan, Madhya Pradesh and Chhattisgarh, that the same condition applies to Congress as well,” she further said. Reports had it that the Congress and the BSP had almost finalised the seat-sharing agreement for the three states. However, Mayawati’s message will need the Congress do a rethinking on the proposed seat-sharing agreement. It is learnt that the Congress had decided to leave 5-6 seats in each of the three states for the BSP. However, Mayawati was not happy with the number of seats given and was said to be lobbying for a greater share. Earlier last month, the BSP had said that it was not in talks with the Congress for an alliance for the Madhya Pradesh Assembly polls. The Congress party is in a pursuit to stich a larger anti-BJP alliance for 2019 Lok Sabha elections.